The best way to set up a tasting is to email Sarah directly at sarah@freshbakedva.com. We will schedule a time that is convenient for you to visit our bakery and taste our delicious cake. During your consultation, we will discuss your décor, flavors and pricing for your cake. Please set aside 30-45 minutes for our meeting. There is a $30 fee, which is refunded towards the cost of your cake if you choose to book with us. Final design is approved and a deposit of 25% is required to save the date. Two weeks prior to your event date, the remaining balance is due. Based on your contract, we will arrange to deliver your cake at your event and make sure that your cake is picture perfect. Fresh eggs, real butter and high quality chocolate are just a few of the ingredients that go into my scratch made cakes. I would love the opportunity to create a wedding cake for you that is not only delicious but is also the stunning centerpiece for your wedding reception. Custom designs or replications of your favorite Pinterest find are just a few of the skills I can offer to your special day. Scheduling a complementary consultation is the first step to booking the wedding cake of your dreams. Send an email to sarah@freshbakedva.com or call me at 540.493.6812 to inquire about tasting availability. My wedding calendar books quickly from May-October, please plan ahead and set up a consultation 8-10 months before your wedding date. I would love the opportunity to work with you! The total cost of your wedding cake will depend on your choice of decor, number of guests and delivery location. 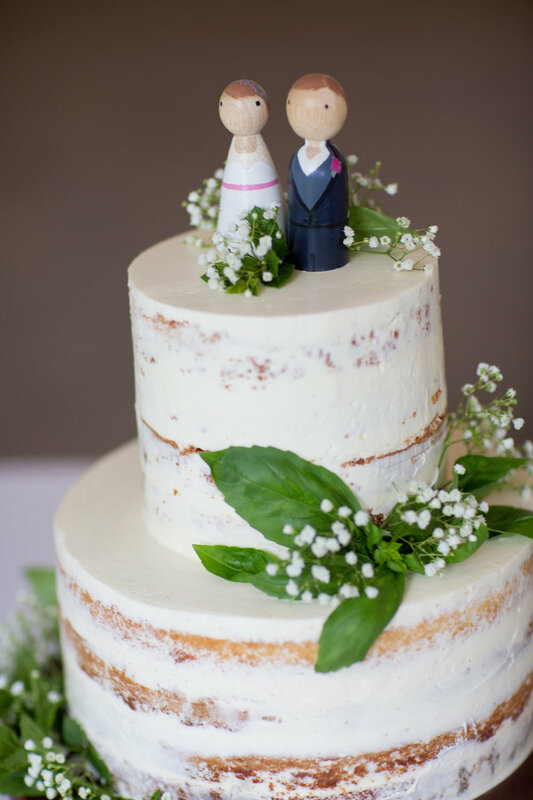 Wedding cakes are priced by the slice and start at $5.00 for buttercream and $6.00 for rolled fondant cakes. A charge of $65 for delivery and setup will be added for deliveries in Roanoke, Salem and Vinton. Additional delivery charges will apply for cakes delivered to outside the Roanoke area. Due to the care that I give to each order I have a $500 minimum cost for wedding orders that are delivered. We are happy to work with a smaller budget for pickup items including dessert bars, cupcakes and petite cakes. We are excited to offer FREE delivery for all couples that are renting the ballroom in The Patrick for their wedding reception. This is a $65 savings! !